Nikola Tesla, (10 July 1856 – 7 January 1943) was a Serbian-American inventor, electrical engineer, mechanical engineer, physicist, and futurist who is best known for his contributions to the design of the modern alternating current (AC) electricity supply system. He was born and raised in the Austrian Empire, where he received an advanced education in engineering and physics in the 1870s and gained practical experience in the early 1880s working in telephony and at Continental Edison in the new electric power industry. He immigrated to the United States in 1884, where in New York, he worked for a short time at Continental Edison, before he struck out on his own. With the financial help of partners, Tesla set up laboratories and companies in New York City to develop a range of electrical and mechanical devices. His alternating current (AC) induction motor and related polyphase AC patents, licensed by Westinghouse Electric in 1888, earned him a considerable amount of money and became the cornerstone of the polyphase system which that company would eventually market. 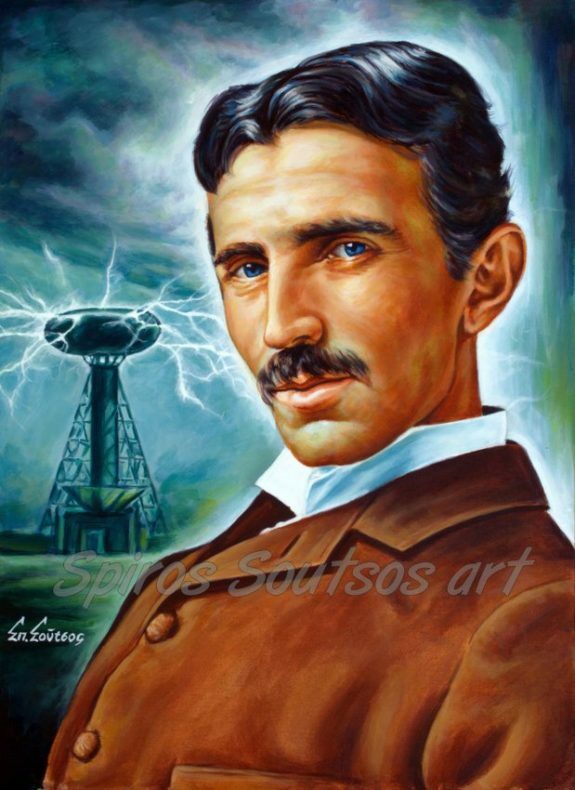 In 1890s, Tesla would pursue his ideas for wireless lighting and worldwide wireless electric power distribution in his high-voltage, high-frequency power experiments in New York and Colorado Springs. In 1893, he made pronouncements on the possibility of wireless communication with his devices. Tesla tried to put these ideas to practical use in his unfinished Wardenclyffe Tower project, an intercontinental wireless communication and power transmitter, but unfortunately he ran out of funding before he could complete it. After Wardenclyffe, Tesla went on to try and develop a series of inventions in the 1910s and 1920s with varying degrees of success. Having spent most of his money, he lived in a series of New York hotels, leaving behind unpaid bills. The nature of his earlier work and the pronouncements he made to the press later in life earned him the reputation of an archetypal “mad scientist” in American popular culture. Tesla died in New York City in January 1943. His work fell into relative obscurity following his death, but in 1960, the General Conference on Weights and Measures named the SI unit of magnetic flux density the tesla in his honor.